The Northern Territory has been my second home this winter. I’ve just returned from my third visit to the Top End, including two walking trips into Kakadu, Australia’s largest terrestrial national park, covering an area just a tad smaller than Israel or Slovenia. 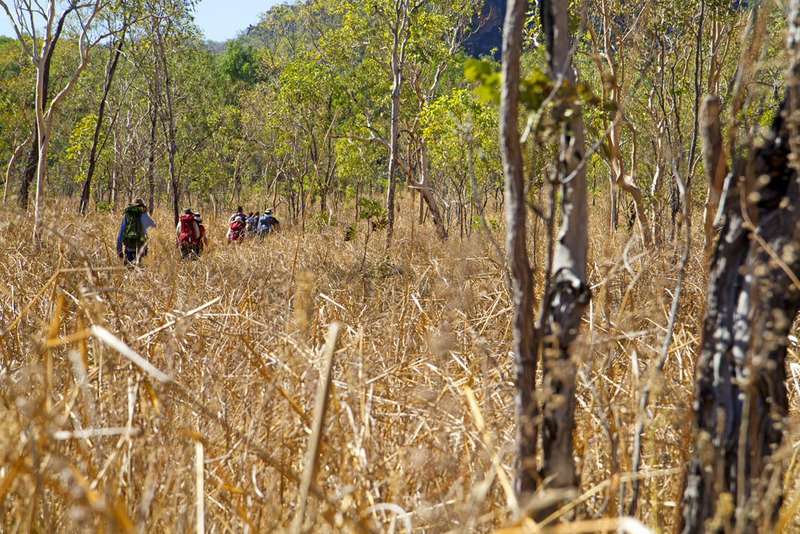 Another recent moment from the Jatbula Trail in the Northern Territory’s Nitmiluk National Park, where once again a hot day of walking ended with the welcome relief of water. This is 17 Mile Falls, base camp for our third night on the 65-kilometre-long trail along the edge of the Arnhem Land escarpment. In the heat, we’d pushed hard through the day and arrived into camp, which is at the head of this waterfall, by lunchtime. With an afternoon to play, I set out to find a way to the base of the falls, eventually following a couple of ledges down through the cliffs to the pool at the bottom. A quick and happily fruitless search for crocodile slides or other evidence of biting handbags told us we had the place to ourselves. Towards sunset we returned again to the base of the falls in an effort to get this photograph with the sun gone from the cliffs. What appeared to be a thin stream of water at the top fell like a storm at the bottom. Water sprayed through the valley and slowly the last light of the day drained from the world. 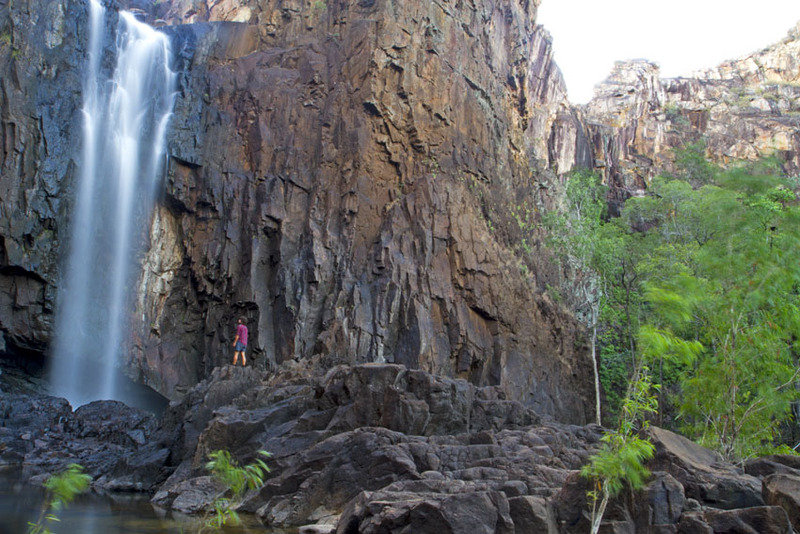 I was reminded of more celebrated waterfalls in nearby Kakadu National Park, except that we shared this one with nobody and it took three days to walk here. It was worth every step. * Adventure before Avarice travelled courtesy of Tourism NT and World Expeditions, which operates a six-day Jatbula Trail guided hike ($1895).